Basketball's best will gather in Toronto this weekend for the NBA All-Star weekend, which kicks off with the Celebrity Game at 7 p.m. ET. Then, tomorrow at 8, there are the skills challenges, including the ever-popular dunk contest. Finally, the All-Star Game will be Sunday at a 8:30 p.m. ET on TNT. 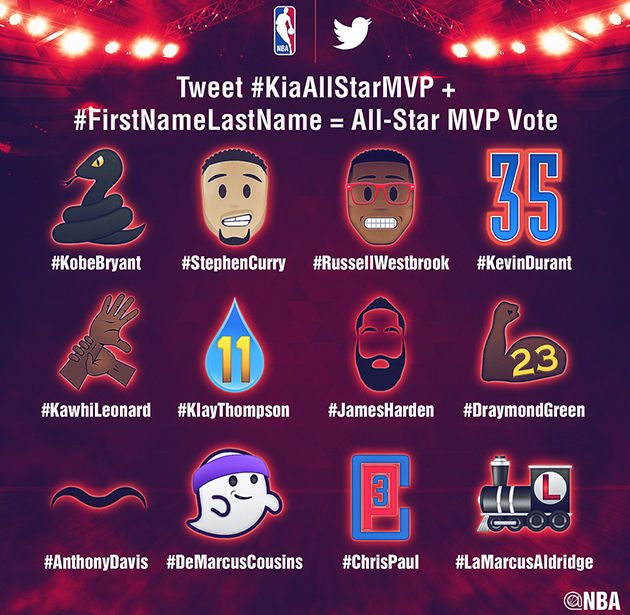 And in advance of this year's contest, the NBA has released a special set of emojis with one for each All-Star. Check out all of them here. Carey Price, the Canadien's goaltender and reigning NHL MVP, will reportedly miss the rest of the season with an MCL injury. Price only played 12 games this season, dominating with a 10–2 record, and the Habs have suffered in his absence. They currently sit outside the Eastern Conference playoff picture with 58 points. In his continued absence, expect Ben Scrivens, acquired midseason in a trade with the Oilers, to get a shot at the starting job.